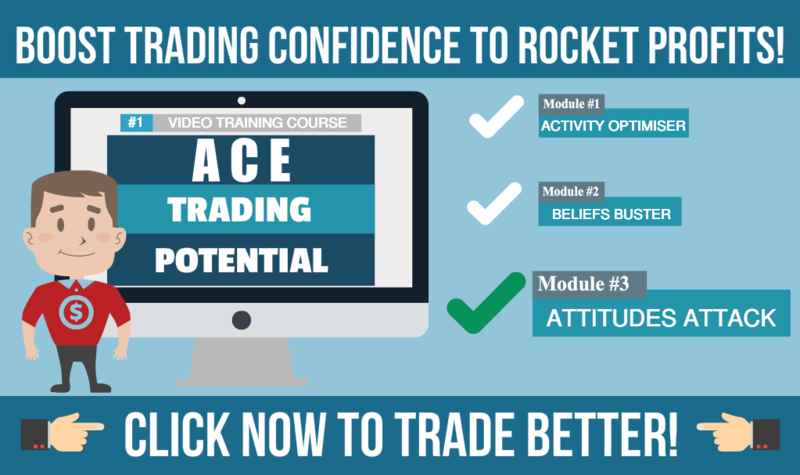 Welcome to part 3 in this three part video training exploring attitudes and how they impact your trading. In this post/video I will teach you how to discover those of your attitudes that are influencing your trading behaviours the most so you can begin resolving them and improving your trading success. Money – An Essential Element in Trading! It can’t be denied that for most traders money is an essential element in trading! We all have what can be described as a ‘relationship with money’ and your own relationship with money can have a direct, and often dramatic impact on trading profitability. So I want to start right now to explore and expose the various attitudes you have toward money, which are part of your money relationship, and then afterward your attitudes toward trading. We have already learned that an attitude is formed from what you think, feel, believe, and experience about an object so let’s focus attention on that object and concept we know as ‘Money’. Grab a pen and notebook or paper – because I want you to answer a few questions that I believe will help you. do you actually and specifically imagine in your mind? Thinking now about money, what thoughts do you have, and what words do you hear from your inner voice? Quickly jot some of the main things down as a list in your notebook. Do it fast so you don’t start to analyse things. All of the things on your list are contributing to your ‘attitude’ toward money and will probably be indicating whether that attitude is essentially positive or negative. Now, staying in touch with your gut reaction, sense how positive or negative your general money attitude is and rate it from 1 to 10 for positive or minus 1 to minus 10 for negative. You have become aware of your general attitude toward Money and whether this is positive or negative, and how strong that attitude is at the moment. Looking at your notes you may have some attitudes to Money that are context-specific with some being positive and some negative. For example, a negative context-specific attitude to money might show when you see someone in an expensive luxury sports car and start feeling jealous triggering a negative attitude to wealth. Alternatively, a positive context-specific attitude might trigger when you have a string of winners in your trading. So you can now become more connected to your own context-specific attitudes, go over your notes and give each of your identified context-specific attitudes a positive/negative rating as before. Then, compare your ratings for each of them. Are the various attitudes equally strong or weak? Is one much stronger than the other and if so by how much? It would be fair to assume that the strongest attitudes are the ones that get more of your mental attention, either consciously or unconsciously, and that these are the ones that will be impacting your trading the most. 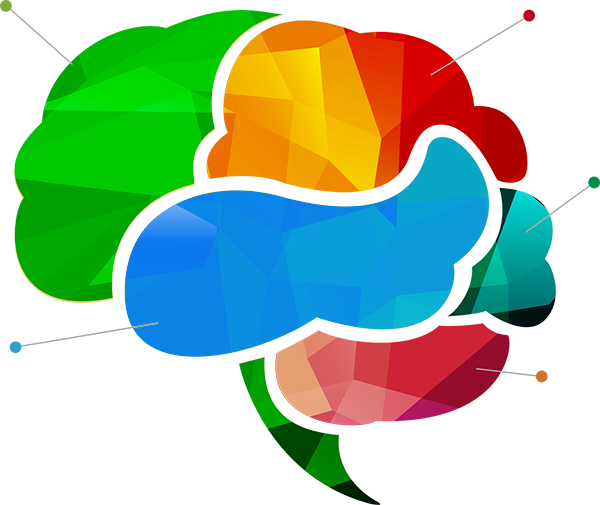 Remember I mentioned in part 2 of this series how neural networks in the brain get stronger through regular use so it is usually easy to spot them after you do the ‘ratings’ exercise. Focus on the various context-specific attitudes and arrange them into two columns, one for positive attitudes and the other for negative attitudes. Also, include anything else you may have thought of while thinking about Money during this little activity. Once you have completed the lists review them and connect them with any times in your trading where these attitudes have clearly influenced your behaviours, for good or not so good. Now you have some clarity on your attitudes about Money and where they have manifested in your trading behaviours, let’s turn our attention to your attitudes toward ‘Trading’. Using the same exercise process you have just used to uncover your Money attitudes, now determine your general attitude toward ‘Trading’. And again, rate your ‘gut reaction’ from minus 10 for negative to plus 10 for positive to assess the emotional intensity of your response. Jot down your response and rating. Continue your exploration as before by identifying context-specific attitudes toward trading. Go ahead and prepare the two columns of trading attitudes, positive and negative, as before and again connect them with any specific times in your trading where they had definitely influenced your behaviours. By now you should have identified your main attitudes, both positive and negative, toward Money and Trading and have listed some specific occurrences in your trading where these attitudes definitely affected your behaviours. If that affect was positive and useful then fine. If however, it produced unhelpful behaviours such as moving a stop loss and increasing your risk, then you now know what might be contributing to those profit killer behaviours and can take steps to avoid the problem in the future. OK, this three-video exploration into the role of attitudes in trading has provided an opportunity to gain a much deeper awareness of how your own attitudes are impacting your trading. And by completing the little exercise I have shared in this post you will be able to identify some specific examples of where your own attitudes have adversely affected your trading. I hope you make the time to discover how your own attitudes are influencing your trading behaviours so you can take positive action to eliminate those that are costing you lost profits.